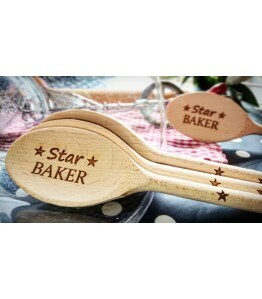 Fun wooden spoons for either a star baker or the world's greatest sh*t stirrer (uncensored version a..
We have many great personalised gift ideas! We offer fast turnaround time for all orders! LaserUs.co.uk specialise in personalised gifts and laser engraving services to create fantastic looking gifts for everyone. We take our time with you, to get your gift right, so that you don't have to compromise. We combine laser engraving techniques with clever design, to give a unique range of first class personalised products.